Hours of light and phone charging. 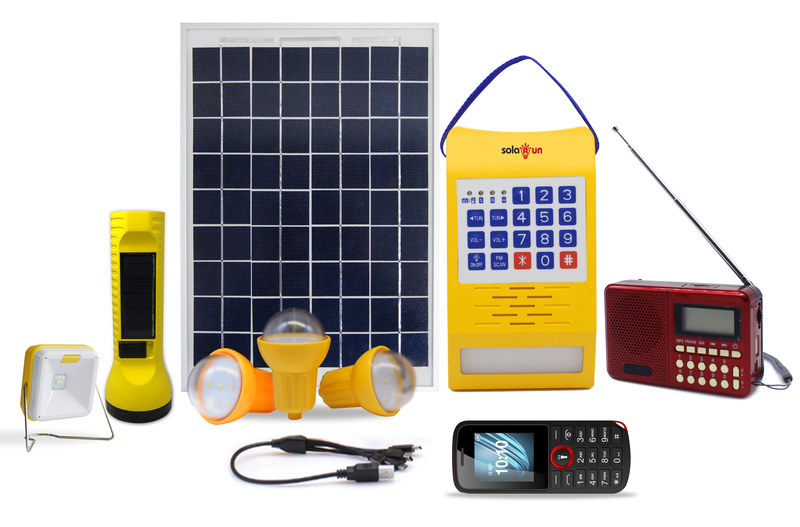 Delivered with internal and external radio, portable solar lamp and mobile phone. 1 Solar Torch, with reading light, own solar panel for self-charging. 2 X Radios, one internal and one external. 1 X external light with own solar panel for self- charging. 1 x Mobile adaptor cable for various phone charging.